New Irwin I-Gel knee pads are designed to put maximum protection where it is needed most. 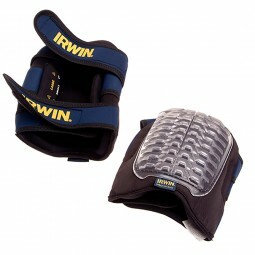 The built-in flexibility of the Irwin knee pads provides long-lasting comfort, so nothing gets in the way of getting the job done. Embedded I-Gel insert provides maximum impact resistance. The non-marking cap will not damage floor surfaces.